Whilst living in New York I formed a pretty serious addiction to doughnuts. 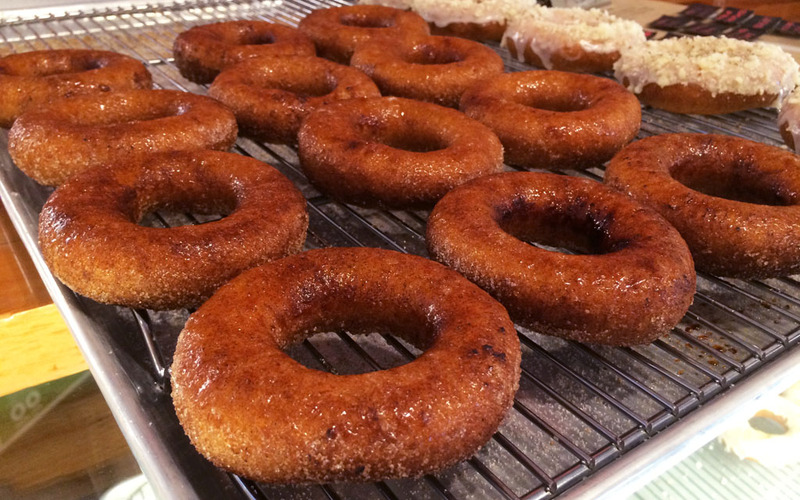 So much so, I ventured all over Manhattan and Brooklyn in search of the best doughnut. Who could blame me? New York City has an overabundance of bake houses serving perfectly round and fluffy creations of doughy goodness. I thought perhaps that leaving NYC would also mean leaving behind this guilty pleasure, but that has not been the case. Exploring Vancouver and it’s food scene over the past few months, I’ve established that Vancouver is indeed part of the gourmet doughnut movement too and is home to a number of top notch ‘donuteries’ each with a delectable range of sugared and glazed doughnuts. 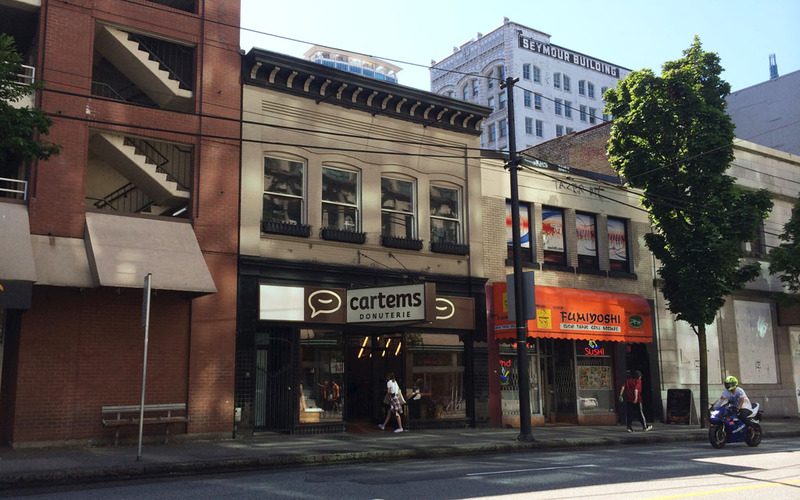 After sampling a few of Vancouver’s finest doughnuts, my favourite thus far are the irresistible and innovative offerings at Cartems Donuterie, located in Vancouver’s downtown. Made on site Cartems doughnuts are alluringly colourful and come in a range of mouthwatering varieties and combinations. Maple walnut, vanilla bean, blackberry glaze, earl grey, chocolate drizzle and salted caramel just to name a few. 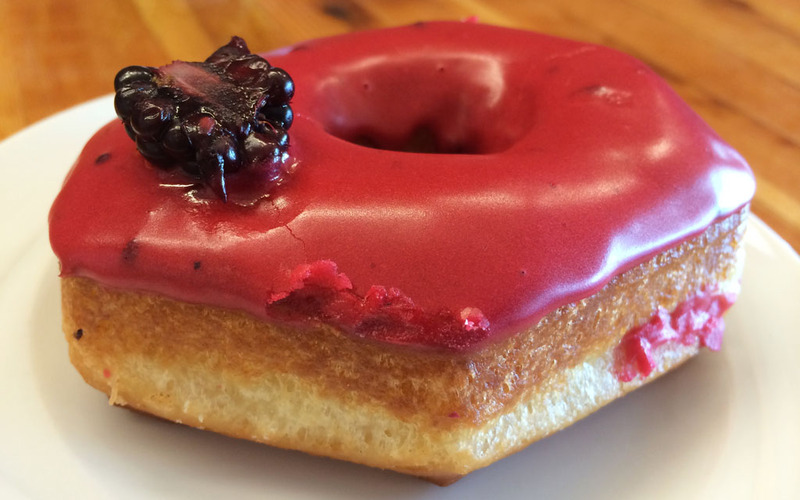 There are also more extravagant creations like Canadian whisky bacon, rhubarb compote filled doughnuts and a chocolate cake doughnut, which is smothered in buttercream, chocolate chips, toasted almond and coconut. Not only is the selection at Cartems huge, but their doughnuts are incredibly fluffy and have just the right sweetness and texture. To me they are perfection. 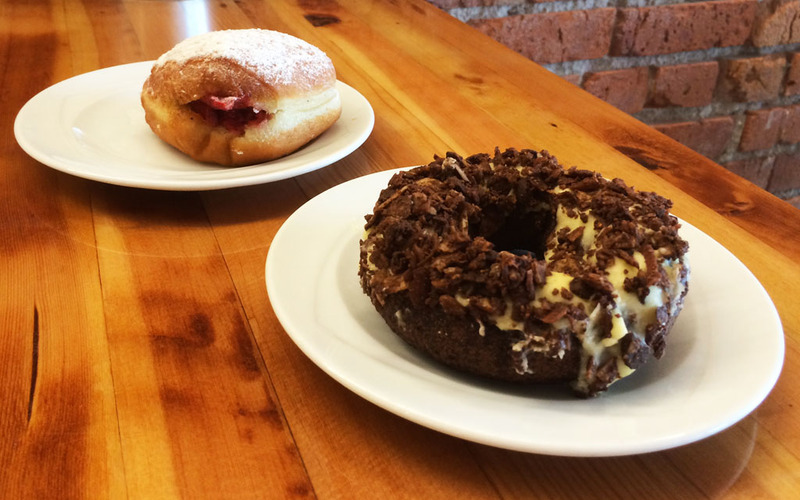 Each bite is made a little sweeter by the fact that Cartems uses only quality local and organic (whenever possible) ingredients and bakes their doughnuts fresh everyday. Cartems also offers a few healthier options such as a daily selection of vegan and gluten-free doughnuts, as well as a baked doughnut to give patrons a lighter alternative to the traditional deep fried variety. Turn up at lunch and you also have the opportunity to choose between a couple of savoury doughnuts. 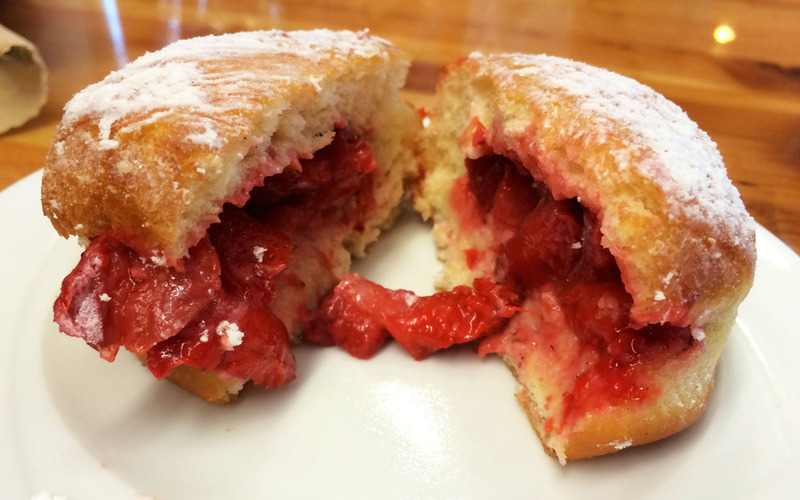 If you’re a doughnut lover then Carmens Donuterie is the place for you. Assuming you stop by, make sure you prepare for the inevitable indecision that awaits (as you debate over which flavour to choose) and perhaps a little light drooling. Personally, I cannot resist the vanilla bean or salted caramel doughnut. Both flavours are utterly divine. Whatever flavour you eventually opt for one thing is certain, Cartems is sure to satisfy any doughnut craving!